VOM started in 1976 an early Los Angeles punk band featuring the renowned writer and critic Richard Meltzer on vocals with Gregg Turner on guitar and 2nd vocals and “Metal” Mike Saunders on drums. The band also featured Dave Guzman on ‘tuneless rhythm guitar’, ‘Gurl’ on bass guitar, and Phil Koehn on lead guitar. 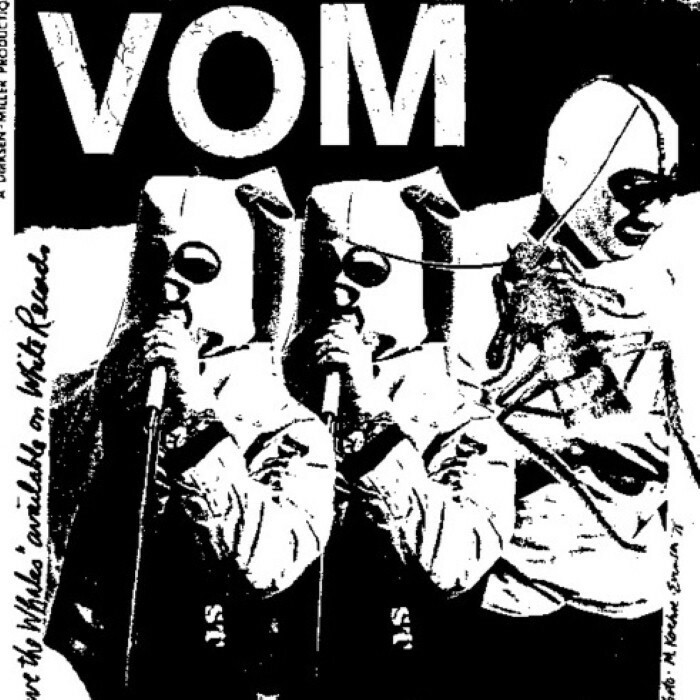 The name Vom is short for ‘vomit’, as their early live act is said by Meltzer and Turner to have included throwing various ‘viscera’, cow parts and food substances at the audience to provoke reaction. Meltzer, according to Turner, “threw in the Vom towel” in 1977, which left Turner and Saunders to pave the way for the Angry Samoans.